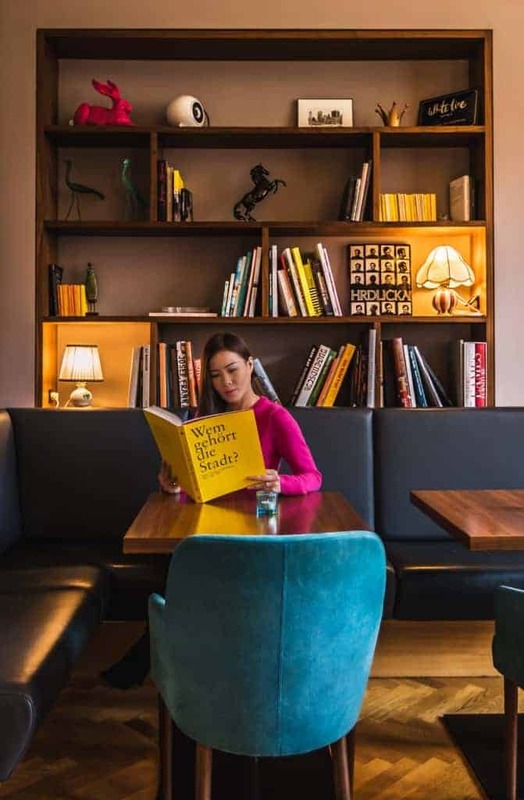 Disclosure: In partnership with Hotel Alstadt Vienna. 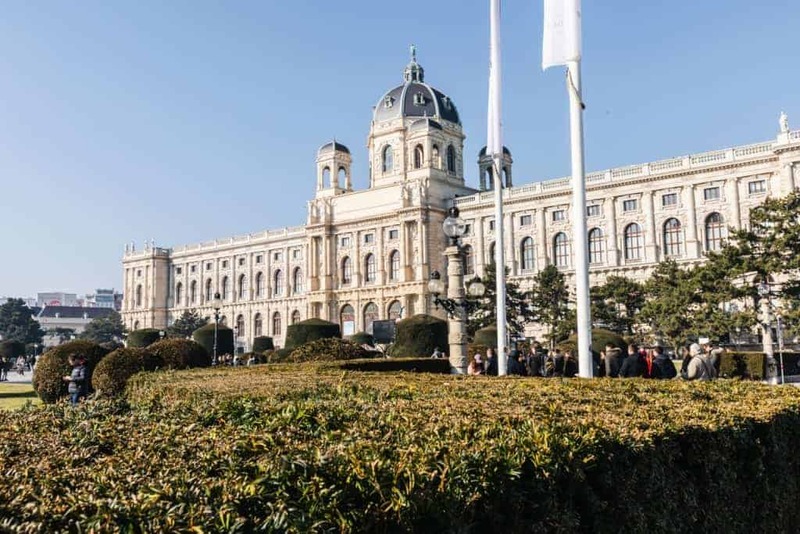 Vienna, Austria has so much to do for tourists, especially those who appreciate the arts. We could have easily filled a couple of weeks with regimented schedules, waking up early and staying late at the plentiful and fantastic museums and other attractions (and still not making it to many of them). We decided however that Vienna should be a city where we take a leisurely approach. This was not planned, but in-fact inspired by where we stayed, the Hotel Alstadt Vienna. Each morning we slept in an extra hour in our comfortable bed. Instead of rushing to see Vienna early we soaked up some of their massive collection of art books in their salon, and then left for the day feeling inspired and content. Afternoon tea and amazing cake right at the hotel? Yes please. After all, this is a vacation and this is Vienna. 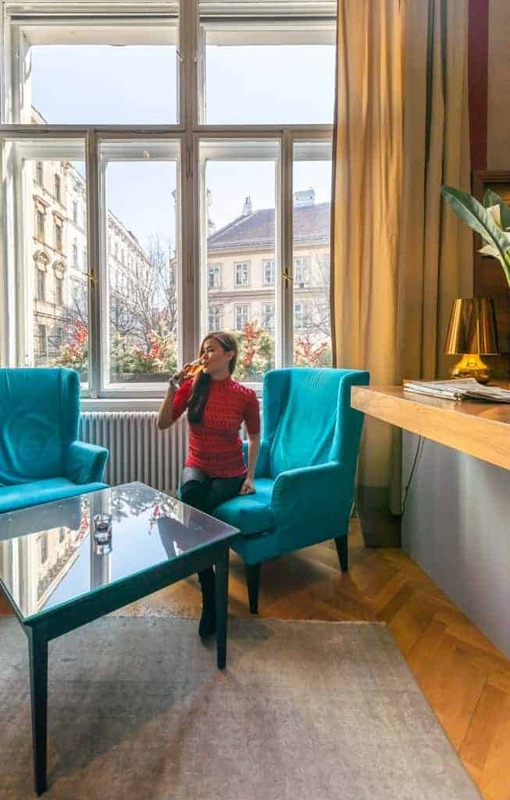 Something extremely special about the Hotel Alstadt Vienna is that each part of the hotel is different from anywhere else I’ve been before. Even checking into the hotel I entered through a hallway with vibrant murals, then came through brass doorway to the reception area where I was greeted by a florawall (a giant square of live plants), more art, and a smiling person who poured me a drink and gave a personal tour of the hotel. Each room of this boutique hotel is brimming with charm. It was elegant, yet friendly and inviting. The Salon for example has a huge circular light overhead, bright striped walls, a unique fireplace with couches and chairs to sink into with a warm drink. The hallways and even staircases have large, original and vibrant paintings. Our hallway had some bright wooden statues that I believe were imported from Italy, and a cute kid’s race car that looked to be 50 years old. It feels like each lovely thing I stumbled upon was simply placed, and not forced or trying too hard. As we arrived and entered the room we awestruck by all the little touches that made it so unique. My husband was first drawn to the stereo which was a mini Marshall guitar amp, a smaller version of the one he had in his younger days. The lamps hanging down from the ceiling have mixed metal and concrete, something I’ve been searching catalogs for to buy for my home. Our bed frame and mirror had metallic and grays and looked like those that one might find in a trendy artist’s New York loft, not things I’d imagine finding in a hotel. The room was large and felt even bigger with the high ceilings. During my stay I learned that the hotel has a special approach to their rooms: they are planned out piece by piece individually from top to bottom, making each one completely different from the next. 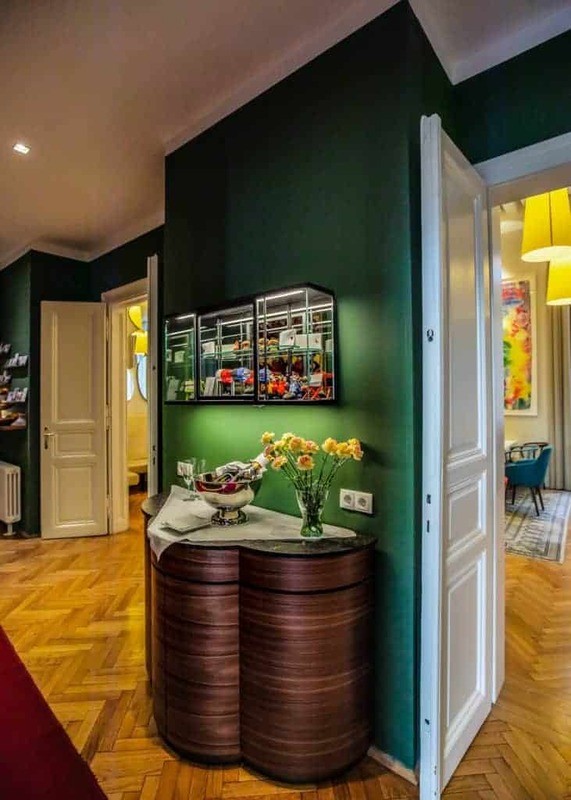 The Boesendorfer Suite has a beautiful full-sized piano, some rooms tactfully bring in elements of nature, others have their own library to enjoy. Ours had a sheek-modern feel balanced with just a touch of bohemian-chic that made it modern, yet warm and relaxing. 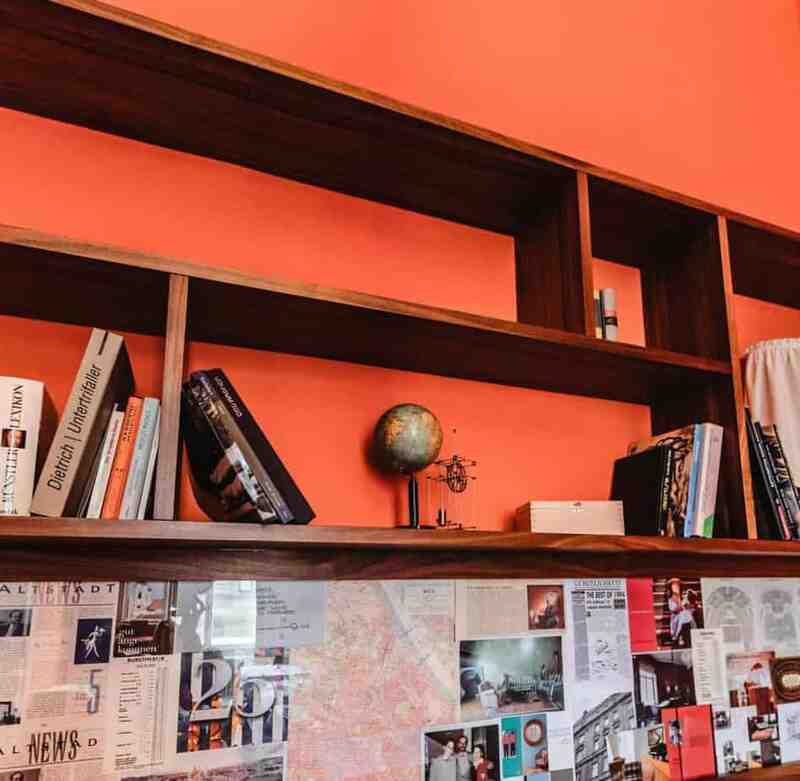 I think one of the only things in-common in every room is that each one had artists and designers carefully plan the room and its contents, from the paint color to the furniture, on down to the rugs. Oh, and the herringbone parquet floors are another thing common throughout the hotel. They are a longstanding tradition in Vienna, and some in the hotel are actually from the Stadthalle in Vienna (a famous performance hall). Our breakfast at the Alstadt was perfect. There’s an assortment of foods to choose from, and while not as large of a selection as other hotels, each of the items tasted amazing. Each morning the specials that they offered were outstanding, especially the salmon and eggs. I loved their assortment of European cheeses, and the muesli is the best I’ve ever tasted. Meats, fruit and other breakfast items filled us up each morning, and I was introduced to some new foods and brands (I’m now a huge fan of Kusmi Tea). The décor and art in the eating areas was, like the rest of the hotel, full of vibrant color and art. The views outside to Vienna were great as well with pretty buildings and a tall tower clock in the distance. 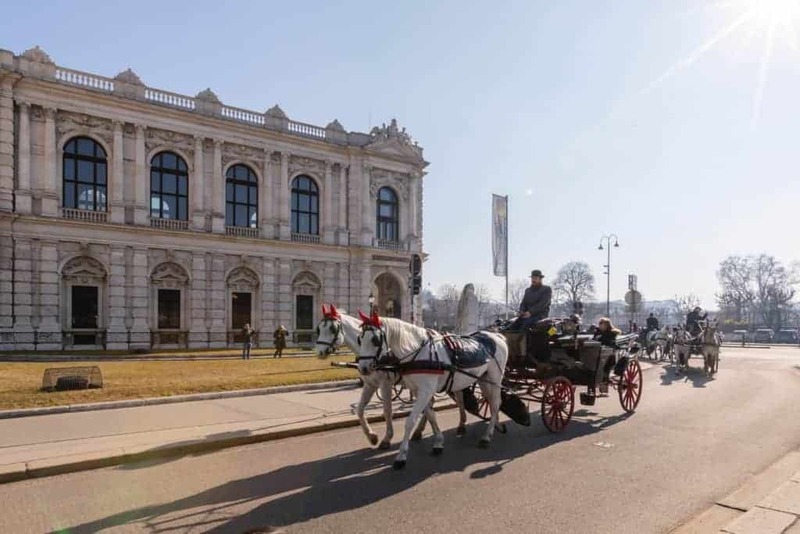 One of the reasons why we picked the Alstadt is that it’s just a 10-minute trek to the museums. We enjoyed this walk each day and would then catch buses to other attractions. Walking around the museums and surrounding gardens at night felt safe and was quite beautiful, with the majestic museums glowing all around us. Proximity to the attractions wasn’t the only plus for the Alstadt location. Some of the best shopping and restaurants in the city was just a few blocks away. The surrounding area of 7th district (also known as Boboville) is the considered by some to be the center and heart of Vienna. 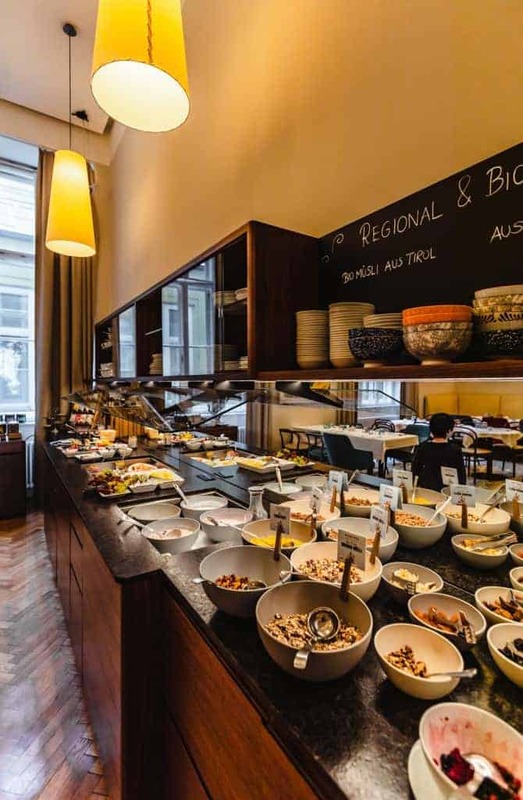 We found great options for Viennese food as well as ethnic food from other parts of Europe and the rest of the world. Window shopping in Vienna and especially in Boboville was something I thoroughly enjoyed. The minimalist approach is far different from what we see in the states. A glimpse into a store may show just a few items of clothing or furniture, rather than the sensory overload that I’m accustomed to. It was so alluring, I wanted to peak into every store! I made a promise to myself that on my next trip to Vienna I need to leave room for all of the kitchen items I hope to buy. 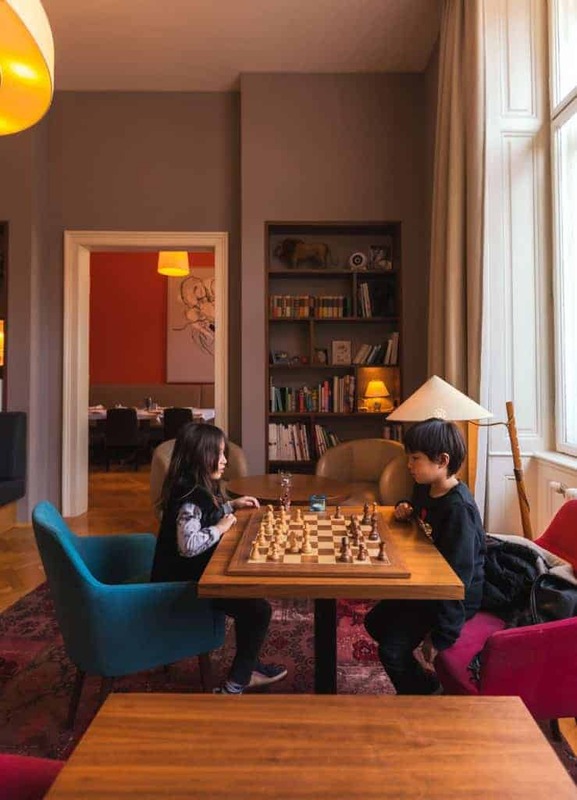 Most guests at the Alstadt Vienna were adults, but the hotel does a nice job accommodating families. Our kids were over the moon about having their own adjoining room, and especially about getting to sleep in a bunk bed. It’s something they’ve always wanted and finally got to try it out. Add to that the cute stuffed animals the Alstadt had given them and they were elated. Vacationing with kids can be tough, these little things sure help. On a couple of different occasions while I sipped on a cappuccino in the Salon my kids would battle each other in games of chess. I was happy that they were well-behaved and civilized (for this trip at least). Our kids had an amazing time at the Natural History Museum. They especially loved the exhibits having to do with fossils and of course the dinosaur bones. They also had a great time taking in the art of The Belvedere Museum. 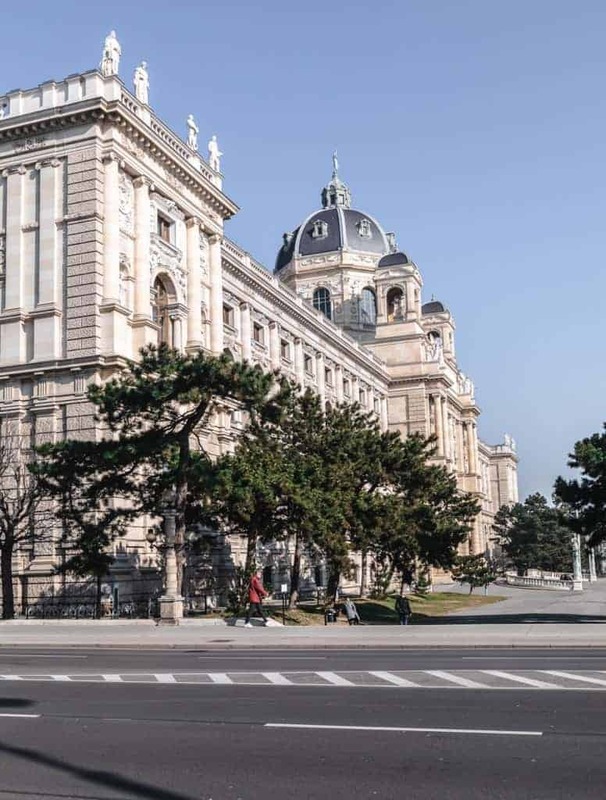 We didn’t go to the children’s museums in Vienna, something to tackle on our next visit. Upon checking out the hotel gave my kids moon phase calendars for the year, which I can’t wait to hang up in their rooms. One of the celebrated artists of Vienna is Gustav Klimt. His style dipped its feet in both classic and contemporary, different mediums of oil paint and metal, and masterfully brought together brilliant colors with repeated shapes, landscapes and romantic subjects. The paintings are fresh, timeless, and make my heart jump (especially when viewing them in-person). 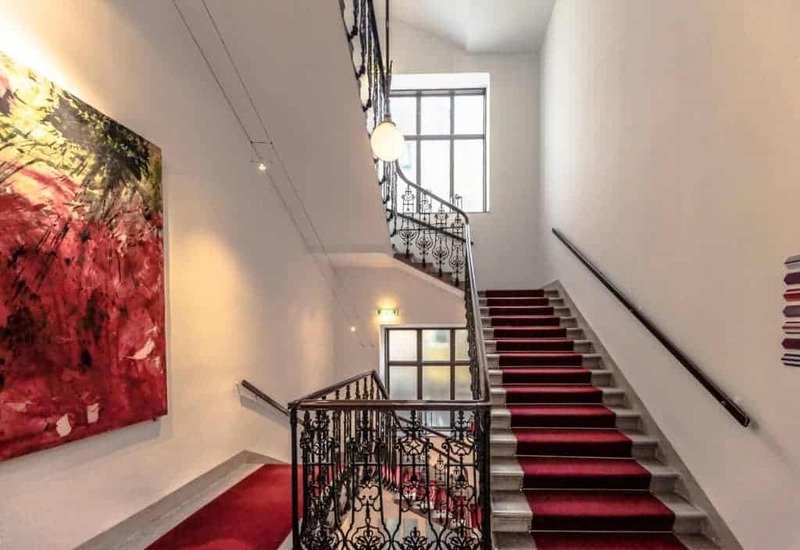 The Alstadt Vienna is in some ways similar to a Klimt piece in that it draws from different genres and styles to create a masterpiece unlike anything or anywhere else. Each room is a surprising adventure, a thoughtfully created space that is fresh and modern, yet celebrates old charm and cozy appeal. 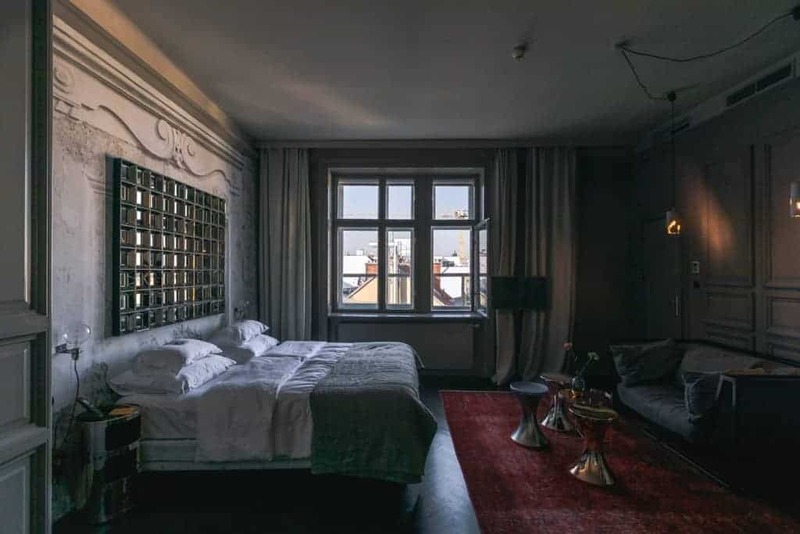 I wholeheartedly recommend the Alstadt to anyone visiting the area, and the hotel will be one of the first things that comes to my mind any time I think of Vienna. 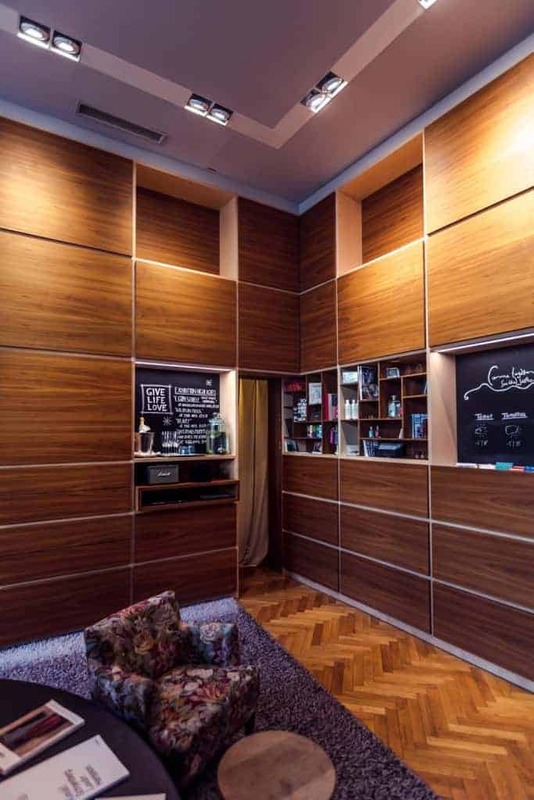 Visit Alstadt Vienna to learn more! I am so impressed by the decor of this hotel. I would love to stay here one day. I’ve been wanting to get to Vienna. One day, I hope! Wow, what a stunning piece of architecture! I love how they have made it into a hotel. 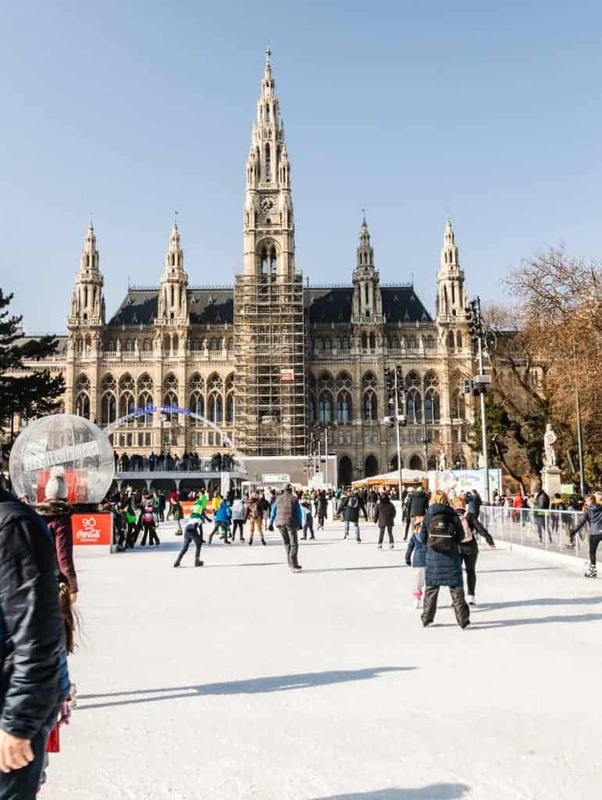 Vienna seems like such a beautiful place to go and visit, with so much to see and do. I would love to make it one day. What a trip that must have been but that hotel was a great place to start. Seeing and experiencing the arts in Vienna must have been a real treat. Wow, it looks so beautiful! Love all the art and wall colours, especially that deep green room. Would love to visit Vienna! Very very fancy place with upscale decor. Wondering what the price point is for an average night. Everything looks comfortable. That definitely looks extremely upscale! I would love to go to a hotel that is awful of luxury. Something like this would be a lot of fun to do at some point. The decor is amazing! 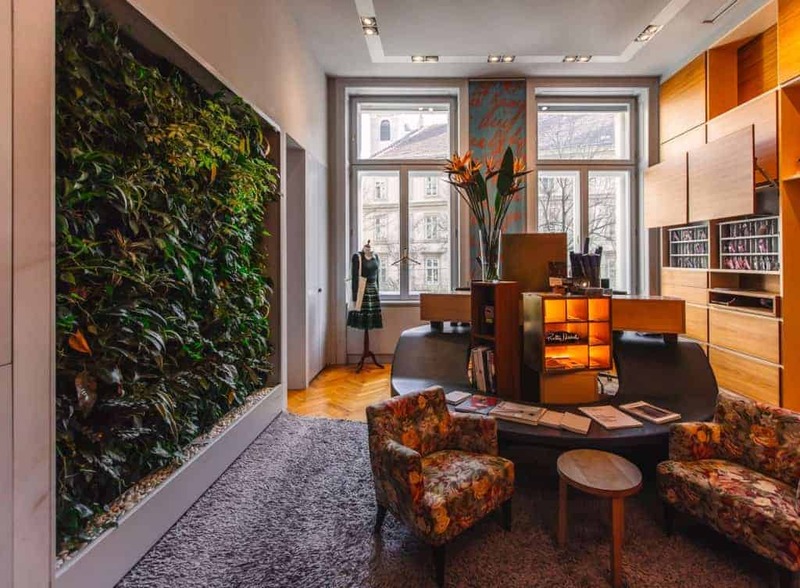 Sounds like a great place to stay in Vienna. The architecture is beautiful! The word VIBRANT to describe this place is actually insanely SPOT ON! The decor is positively stunning! It’s absolutely gorgeous. Very vibrant and rich colors. This place is amazing! I would love to stay there if I’m ever in the area. Dang! This is lovely! The architecture is amazing and the interior design is outstanding. I would love to stay here. This hotel is elegant and unique! Love the room and the hotel itself would be enjoyable to stay at, from what I can see. It makes me want to book a trip! This is a very fancy hotel. I bet you all had a great time there. Lovely photos! That is beautiful hotel. All the food looks delicious and neat and clean. Vienna is my wishlist I don’t when I can visit . May be at that time I will love to visit this hotel. What a lovely hotel. I love the decor of the room as well. This hotel is so beautiful. I love the vibrant colors. Vienna is on my list of places I want to visit.